It was only a very few years later that friends lent us the BBC mini series. From what they said, I realized that this series was something special. The picture of Mr Darcy on the front cover was not very reassuring, as he looked nothing like how I imagined him to look. Nevertheless, I approached it with an open and eager mind. And it was all and more than I had hoped for! The opening music was beautiful. 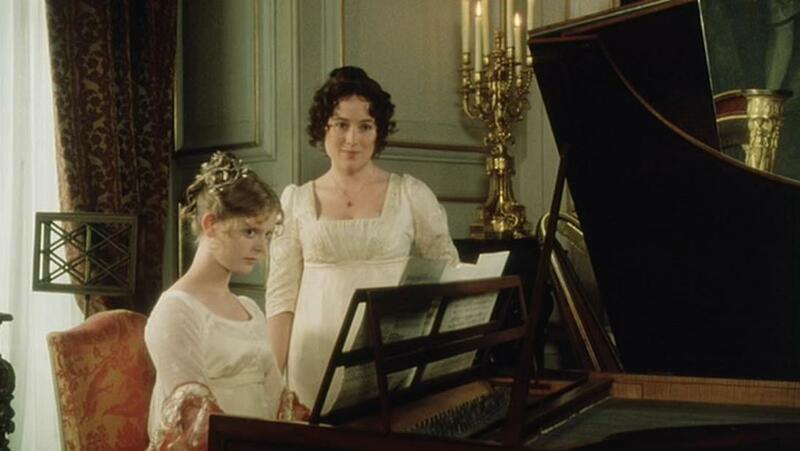 And Jennifer Ehle as Lizzy was perfect. Needless to say I soon discovered that the front cover picture of Colin Firth was merely an unflattering, bad angle and although he did not quite look like the Mr Darcy of the book, he certainly acted the part to perfection. 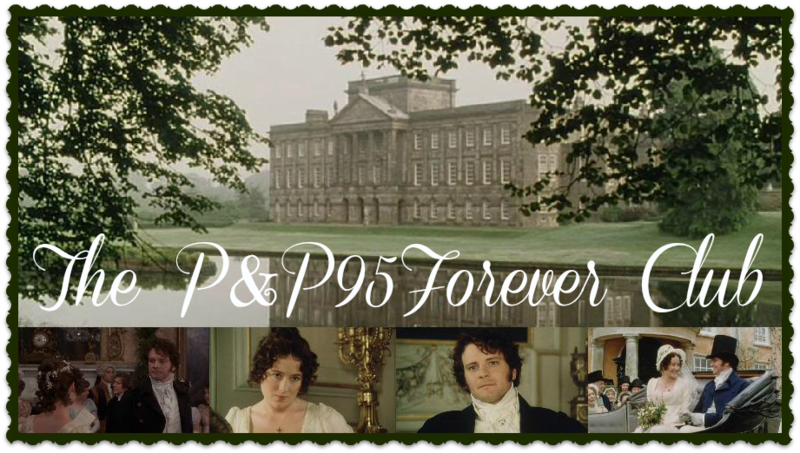 As I base the worth of a movie on accuracy to the book, especially how the close the characters are to my imagination, P&P95 was perfection! Not only was Jennifer Ehle exactly as I imagined Lizzy but also many other characters including Mr Bingley, the Bennets, Georgiana.....I could go on! To this date, P&P95 is the most accurate adaption, I have ever seen. We eagerly watched the entire series, night after night and when it finished, we knew now of the special hold it had over our friends. It became something of a tradition to watch it at least once a year. Suddenly our computers had desktop backgrounds of P&P95, pictures of Darcy & Lizzy were drawn, the piano music was acquired and learned by the more accomplished of us ...a mini fan-base was born.